I’m looking forward to a trip up to Newcastle-upon-Tyne to do a workshop on National Poetry Day at Atkinson Road Primary Academy. They booked me through Authors Aloud, one of the sites that I’m registered with. I can also be booked direct via the contact page on this website. I do still have some availability before and after 28th September, if you want a school visit. National Poetry Day is an annual event. Usually it is the first Thursday in October, but it was brought forward by a week this year. I have written more about this previously here, so I won’t repeat myself. 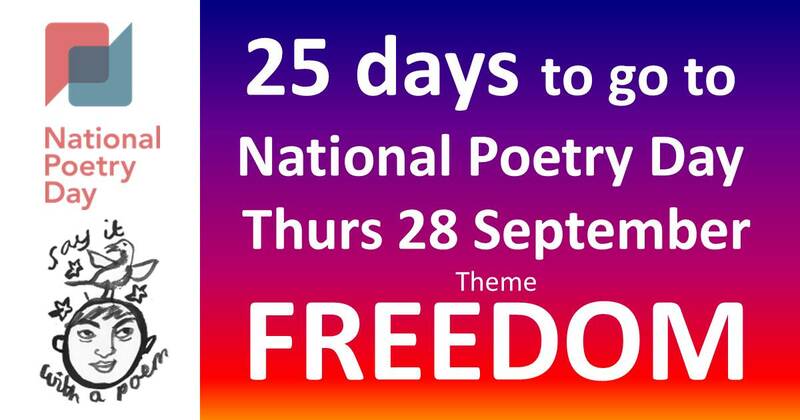 There are some ideas for lessons on the theme of Freedom on that post, and also there are lots of ideas and resources on the National Poetry Day website for teachers planning lessons. I hope you all can say it with a poem every day, but especially on National Poetry Day! Bernard is available for workshops in schools, particularly primary age (KS1/KS2). He is happy to travel away from home. Over the years he's also worked successfully in partnership with Road Safety officers combining the road safety message with creative writing. 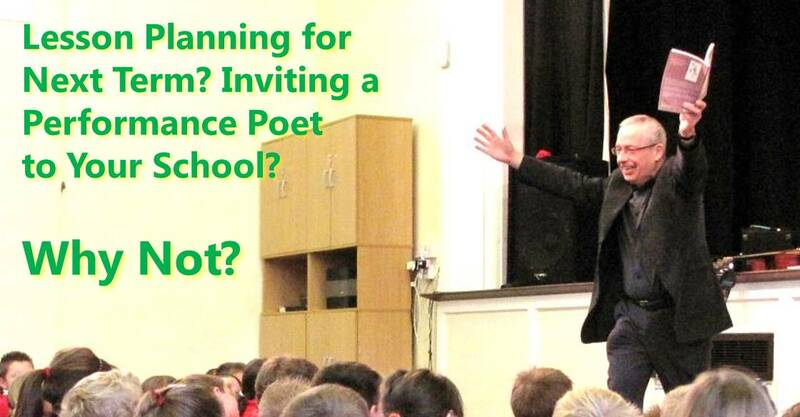 To book Bernard for a workshop in your school, see Contact page.